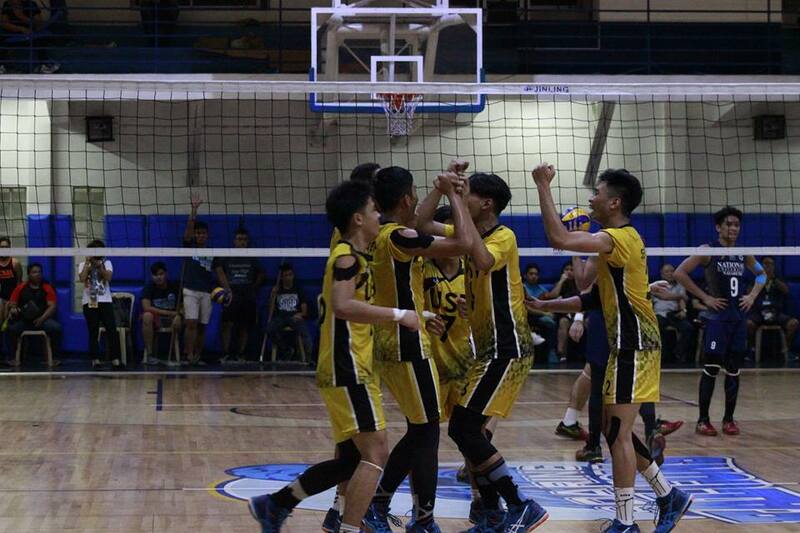 The Nazareth School of National University Bullpups won over the finals game against the UST Junior Spikers held at the Adamson University Gym on November 30, 2016. 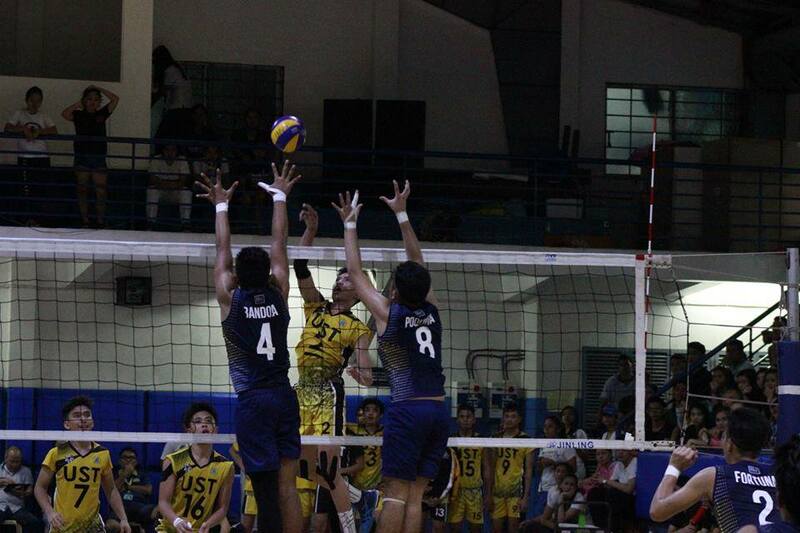 The latter shared the same fate as their female counterparts after losing to a 25-15, 25-18, 25-19 set to the NU BVT. Dominating the Mythical Selection, the NU Bullpups were enthusiastic as they took home the title in their second straight championship. 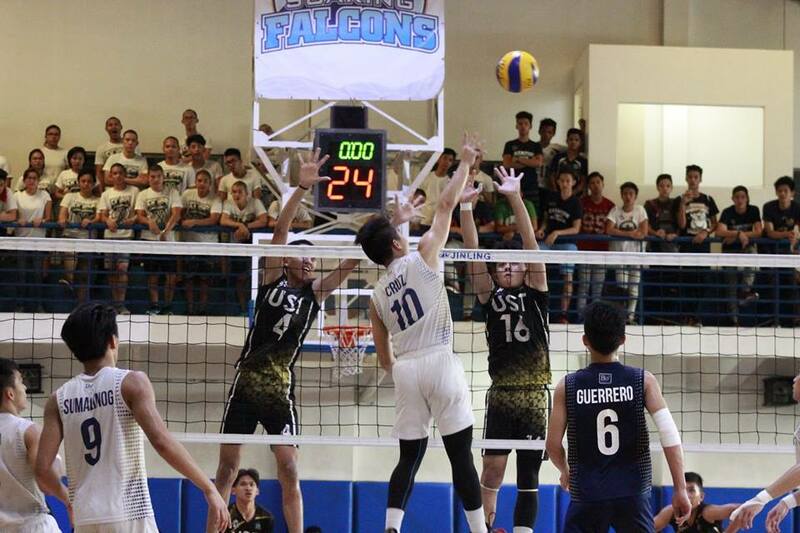 The Bullpups secured their title as the season’s champion after registering 31 kills, seven blocks, and five aces. “Naging hadlang yung experience kaya ganito nangyari ngayon. Hindi masyadong sanay yung mga bata sa ganito dahil ngayon na lang ulit kami nakapasok sa finals,” UST assistant coach Rommel Abella told the Social Media Club in an interview. Rey de Vega scored seven points whereas Captain Jhun Lorenz Señoron, who led their Game 2 win, scored just one point. Furthermore, the Junior Spikers were happy to bring home three individual awards despite their loss in the finals. Team Captain Jhun Lorenz Señoron was declared Best Opposite Hitter while Rey De Vega was awarded Best Server for the UAAP Season 79 boys’ volleyball. On the other hand, Senior High School student Jaron Requinton seized the 2nd Best Middle Blocker award in his first year as a Thomasian. Listed below are the complete set of awards in this season’s tournament. 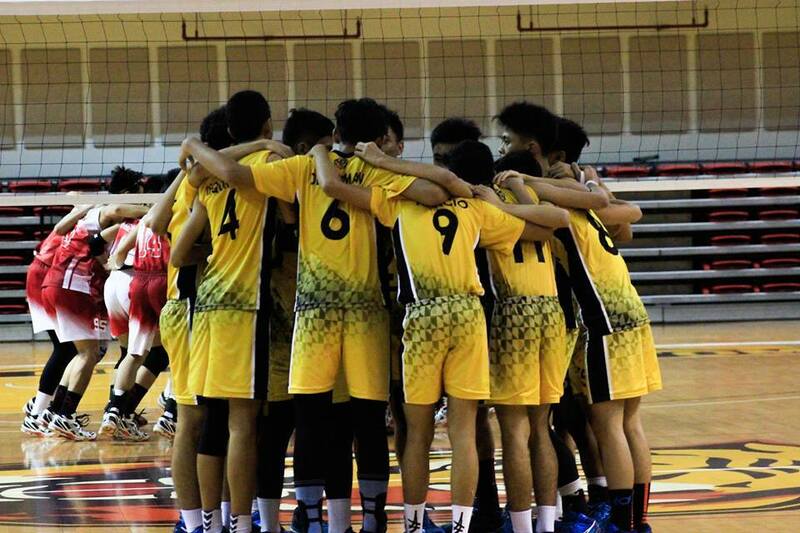 The UST Junior Spikers has gone through a massive game with a 25-22, 11-25, 21-25, 25-15, 15-13 win versus the Nazareth School of National University Bullpups in the finals of the UAAP boys’ volleyball tournament last Sunday, November 27, 2016, at the Adamson Gym. The boys’ volleyball team will advance to game three after forcing a do-or-die match. Jhun Lorenz Señoron, Captain ball, said it was hard for the team. “We need each other to win eh. Kaya kami nanalo kasi naglaro kami as one, hindi as individuals. Lahat gumagalaw which is satisfying,” he told the Social Media Club. UST registered 48 attacks, nine aces, and eight blocks which led to today’s victory. Señoron was able to garner 21 points while Rey De Vega and Teo De Guzman added 15 and 11, respectively. The team will proceed to game three on Wednesday, November 30, 4 p.m. at the same venue. 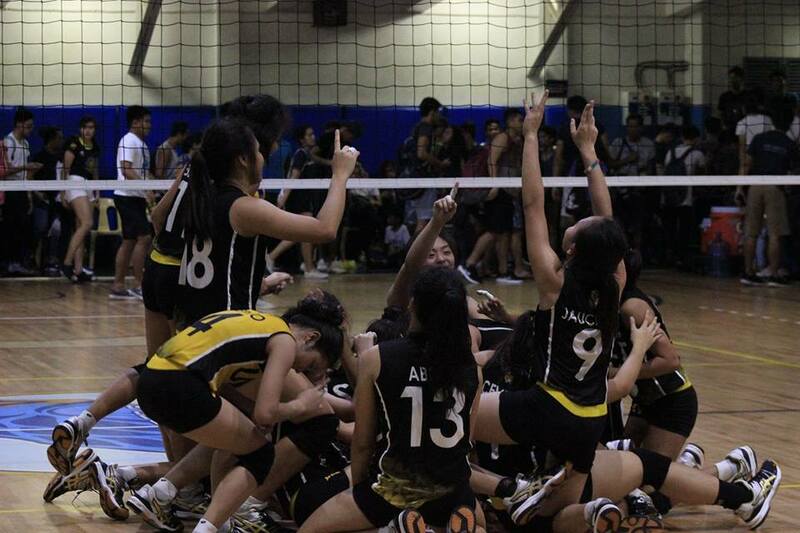 Last Friday, November 26, 2016, the UST Junior Tigresses witnessed a 29-27, 25-19, 25-22 loss against the Nazareth School of National University Lady Bullpups during their Game 1 of the chance to claim the crown of the UAAP girl’s volleyball finals at the Adamson Gym. “Sa pag-atake walang problema pero hanggang ‘di nao-overcome yung mga errors, talagang makakascore yung National University. Kung baga ‘tong game one, pamigay na para sa kanila,” head coach Emilio “Kung Fu” Reyes Jr. told the Varsitarian. Eya Lare accredited a total of 14 points while Baby Barbon registered 12 markers. 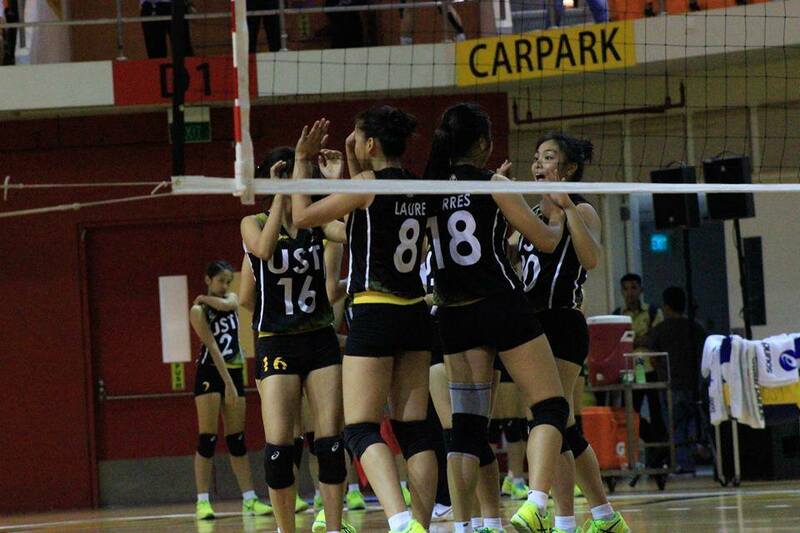 UST will face Game 2 against the same team on November 27, 2 p.m. at the Adamson Gym. The UST Junior Spikers suffered a 25-22, 23-25, 25-20, 23-25, 9-15 loss against the Nazareth School of National University in Game 1 of the finals of the UAAP Season 79 boy’s volleyball tournament at the Adamson Gym last Friday, November 25, 2016. Teo Aloysius de Guzman, blocker of the team, felt disappointed. “Parang nakukulangan pa ako dun sa performance namin kase yung sa blockings, ayun yung kailangang i-improve namin,” he told the Social Media Club. On the other hand, Rommel Abella, UST BVT’s assistant coach felt proud. “Happy kami sa effort ng mga players natin. Unfortunately, ‘yung errors did us in. Kung na-minimize natin sana especially on the second set, it could have been [three] straight sets,” UST assistant coach Rommel Abella told the Varsitarian. UST will have to face NU again in the chance of having a do-or-die game and claiming the title for this year’s season on November 27, 4 p.m. at the Adamson Gym. 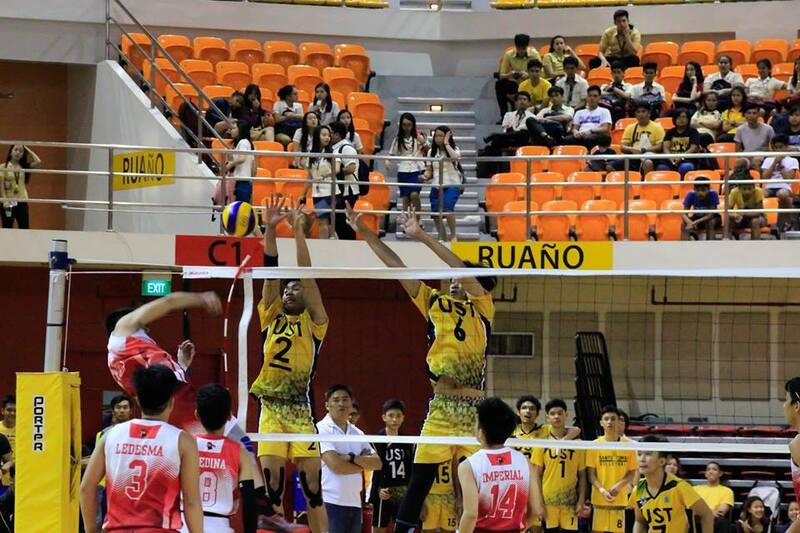 Last Thursday, November 17, 2016, the UST Junior Tiger Spikers won over the UE Junior Spikers in the semifinals of the UAAP 79 boys’ volleyball tournament at the UST Quadricentennial Pavilion. The UST BVT made the time constructive making a quick win over UE with a 25-17, 25-15, 25-20 win. “Kung tutuusin, mahirap talaga mag-adjust sa court na ‘to. Despite that, we tried our best naman na ma-fulfill at matapos yung game ng maayos,” said Jhun Lorenz Señoron who chalked up 12 points for UST. Jaron Requinton also added nine markers which were one of the factors in the team’s win. UST will fight for the title against the Nazareth School of National University in a best-of-three series on November 25, 4 p.m. at the Adamson Gym. Q: How was the game for you? A: Una sa lahat, nahirapan ako, nahirapan kami. Hindi lang ako kasi kung tutuusin mahirap mag-adjust talaga sa court na ‘to. Pero, we tried our best naman na sana ma-fulfill at matapos namin yung game ng maayos. Saka natulungan namin ang isa’t isa kasi gusto namin manalo as a team. Q: Who inspired you na maglaro ng volleyball? A: Lahat! Lahat ng sumusoporta sa akin. Lahat ng tanong nanunuod dito. Lahat ng friends ko, family ko saka yung mga ka-team mate ko na mahal na mahal ko talaga. Q: Ilang scores ang nagain mo? A: Ay, ako kasi naglalaro lang ako di ko binibilang kung ilan eh. Mas gusto ko kasing nagf-focus ako sa ginagawa ko kaysa sa nagbibilang eh. Q: So, anong goal niyo for this year’s UAAP? A: Kasi lang next stage na papasukin namin is yung championship na, game 1 at game 2. Sana manalo kami and sana mad magpakita yung skills namin. Q: What should we expect in the following games? A: Sa team namin, nothing to expect kasi hindi naman lahat ng bagay di magiging maganda. We’ll just try our best! The UST Junior Tigresses win over the semifinals against De La Salle-Zobel Junior Lady Spikers last Thursday, November 17, at the UST Quadricentennial Pavilion. The game was a sight to see with the girl’s volleyball team advancing to the finals with a 25-19, 25-22, 24-6, 25-18 win. Alyssa Valdez, a USTHS GVT Alumni, said she was so proud of USTHS. “It was a good match; it went to the fourth set. Semis n so gusto din naman ng dalawang teams makapasok sa finals,” she said in an exclusive interview with the Social Media Club. Valdez continued saying that both teams were skillful and talented. “Sobrang laki ng potential nila,” she said proudly. The next showdown will be in best-of-three finals on November 25, 2016, at the Adamson Gym with UST-GVT facing the Nazareth School of National University’s Lady Bullpups. E: Uhm, syempre uhm, di pa naman kami, parang alam naman naming may kulang pa rin samin. Sa natitirang 1 week na preparation, hindi namin hahayaan na hindi namin magawa yung mga dapat namin i-accomplish. And syempre, parang triggered din kami na mag-champion this year. Q: What’s your goal for this year’s UAAP? E: Uhm syempre, yun nga, ang madala yung susunod na UAAP crown. Yun nga yung ilang years na namin gusto kuhanin and alam naman namin kaya namin. Q: Who inspired you to play volleyball? E: Si Ate yung nag-inspire sakin. Last September of the year 2015, the Kick-off Party was held. The event was held from September 1 to September 2. 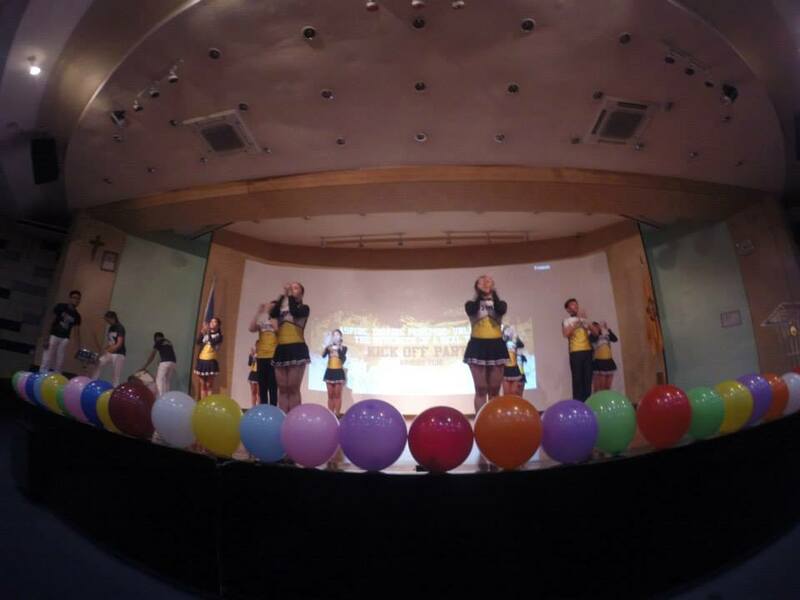 On the first day the UST Junior High School athletes went to the Benavides Auditorium for its opening. Each athletic event presented their team-prepared dance presentations. After it, the athletes played relay games. Video presentations from the team captains giving their team a message for the UAAP Season 78 concluded the day. On the second day all of the athletes of the University of Sto. Tomas went to Santisimo Paris Church where a mass was done. They then paraded in the whole university. Performances from the different teams are presented once again. The event was concluded after a set of relay games was played.